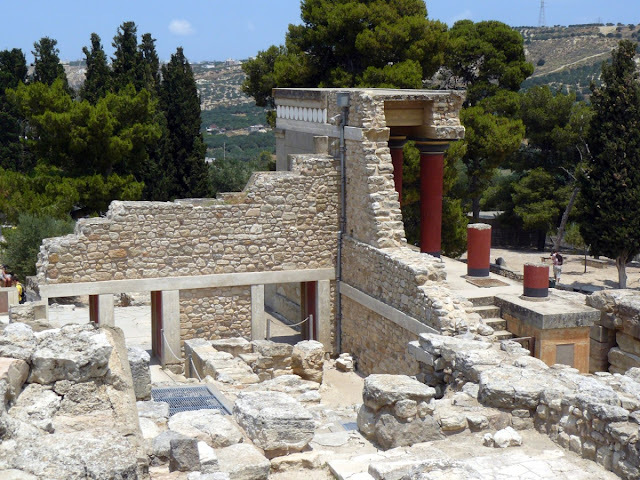 The legendary palace of Knossos dates back to 2000 BC and was the most famous Minoan building, famous for the legend of the labyrinth of Minos. E 'was discovered by British archaeologist Sir Arthur Evans in 1894. 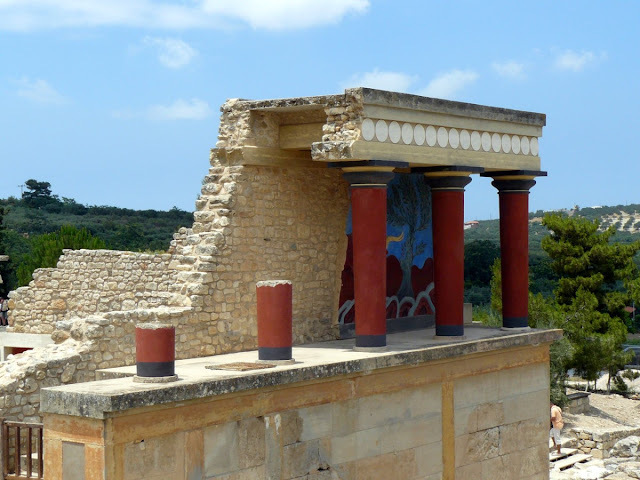 In ancient times the building was a veritable citadel, the seat of power of all the Minoan civilization and astounded by its splendor and vastness, comprising more than 400 rooms connected by monumental stairways. 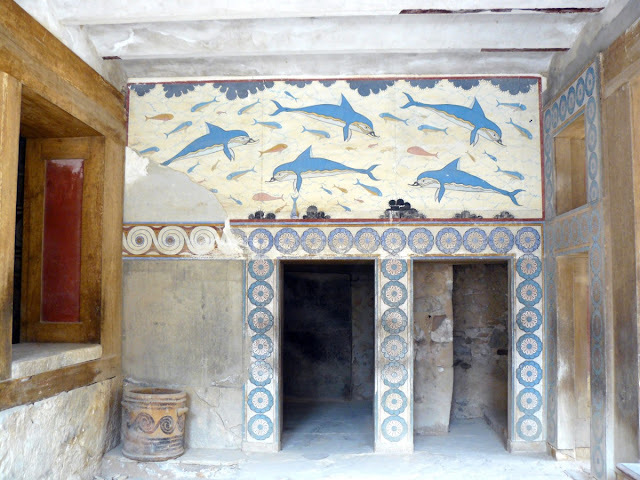 Today visiting the archaeological site is really difficult to imagine the splendor and magnificence of the time, nothing remains but a few ruins, among other things completely rebuilt by the team of Evans, including the throne room of King Minos, the famous baths of apartments of the queen considered the most innovative of antiquity and some splendid frescoes and paintings that decorated the halls. Travel Tips:€ 6 entrance to the archaeological site. 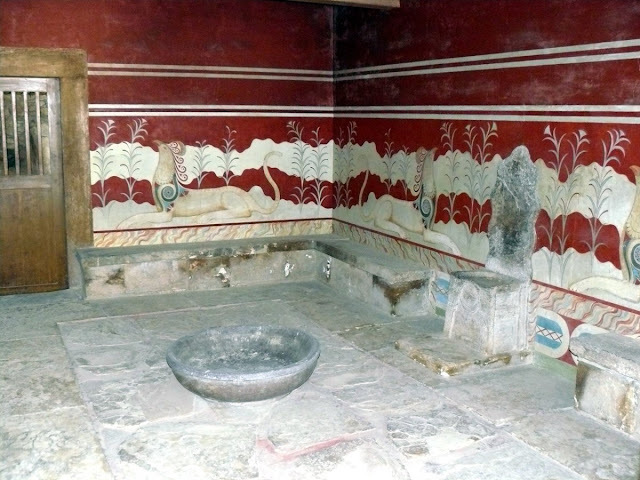 A bus service connects the center of Heraklion with the Palace of Knossos . Alberto Gregori - Copyright 2012-2013. Tema Semplice. Immagini dei temi di Maliketh. Powered by Blogger.